Black Friday is an annual sale-filled shopping bonanza that occurs the Friday after Thanksgiving in the United States. It is a day filled with extreme price cuts and even more extreme shopper behaviour. The sale kicks off just after midnight and runs for the duration of the day. You will be hard pressed to find a store, whether bricks-and-mortar, or online that doesn’t participate in Black Friday. However, although Black Friday’s origins lie in the U.S., the holiday has also infiltrated the United Kingdom as well as South Africa. Holiday shoppers capitalise on Black Friday’s deals which often run into the weekend until ‘Cyber Monday’ when most of the deals move online. However, while Black Friday’s deals may come at a reduced price for its consumers – it comes at a substantial price for the environment. According to Nicholas Ashford, a professor of technology and environmental law and policy at MIT: “for people who don’t have purchasing power, the ability to be able to buy something that is a necessity at a discounted price is obviously a benefit” conversely, for those on the other side of the spectrum, “for other people with more than enough, it just perpetuates a consumption-oriented society, which has an adverse effect on the environment” (2018). 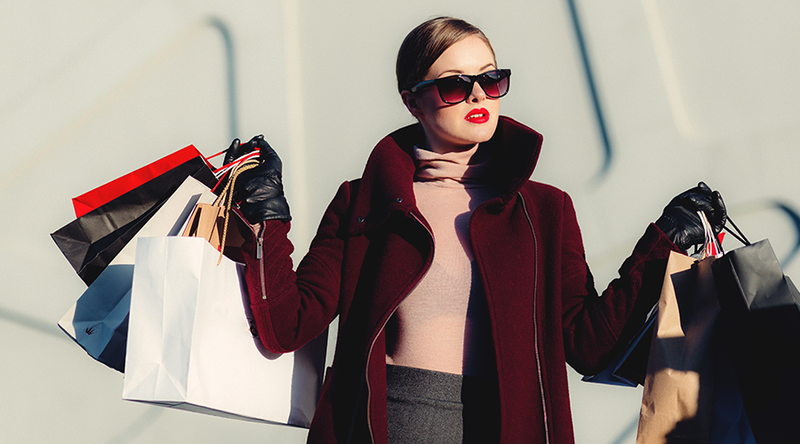 So, how do your Black Friday and sale shopping habits impact the environment? One of the biggest considerations is not only how you do your shopping, but also how you have it delivered. In 2018, it was estimated that the average consumer planned on spending approximately 20% more this holiday season, then they did in 2017 (Deloitte Consumer Survey). Of that, fifty seven percent of those sales will occur utilising online shopping platforms, versus the more traditional bricks and mortar equivalent. In 2017, Vox and the University of California’s Climate Lab determined that one-day and two-day shipping methods, which are most commonly used by large online retailers and distributors such as Amazon.com left a bigger carbon footprint then those which took place over a longer period of time. This is due to the fact that logistically quicker shipping lead times requires more transporters on the ground. It also means that before same-day and 48 hour deliveries, companies were able to consolidate and optimise their delivery schedules and methods, but due to demand this is no longer a possibility. Another environmental consideration is what you buy, its environmental sustainability as well as the packaging that it comes in, and ultimately how it will eventually be disposed of. Most of the items bought on Black Friday and ‘Cyber Monday’ sales comprise of electronics and fast fashion, and then of course there is the plastic element – whether it’s what the product purchased is comprised of or what its packaged in or even in the microfibers of the fast-fashion items purchased, generally plastic in unavoidable. A great first step in ensuring that your sale shopping doesn’t have to cost the earth is by knowing exactly what you are buying, where it was manufactured and if it has any elements that can be recycled. Another way of reducing your carbon footprint is by bundling your online deliveries, therefore reducing the amount of trucks and cars on the road. Lastly, going for experiential gifting that doesn’t require a physical product, or opting to shop for items that have been up cycled or comprised of recycled elements also makes a big difference, therefore making your shopping-spree guilt-free.